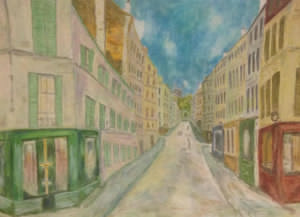 Sendai Artist Inspired by Maurice Utrillo: Yuzo Saeki and Inner Passion – Japanese Art, Books, Culture, Gifts, and Publishing. The French artist Maurice Utrillo (1883-1955), just like the British artist L.S. Lowry (1887-1976), are two of the most predominant artists to hail from France and the United Kingdom in the twentieth century. Of course, internationally, Utrillo is more famously known but this shouldn’t distract from the individualism of Lowry. 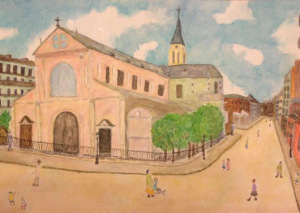 Therefore, with the contemporary Japanese artist Sawako Utsumi adoring Lowry and Utrillo, then she often pays homage to the stunning art that they created. Indeed, when viewing the art of Yuzo Saeki (1898-1928) you can often feel his pain within the art he produced. This alludes to his serious health issues and the alienation he felt while painting in Paris. After all, not only was Saeki far from the land of the rising sun but also, equally important, his deteriorating health and cultural alienation weighed heavily on Saeki. 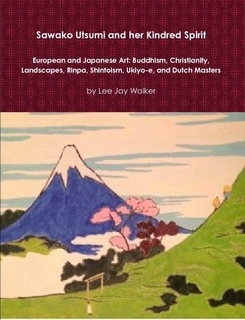 This reality created a sense of alienation, fear, despair and other negatives within the magnificent art of Saeki. 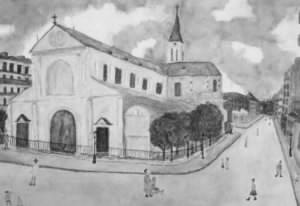 However, despite Utrillo also suffering from bouts of ill health throughout his life and alienation when younger, it is hard to see this within his cityscapes. Ironically, the different realities of Saeki and Utrillo appeal greatly to Utsumi. Therefore, this contemporary artist from Sendai focuses on creativity, fusions, passion and aspects of chaos even when not always visibly clear. 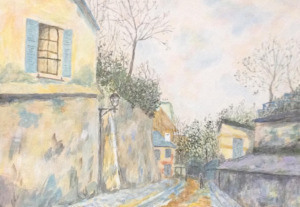 Intriguingly, while Utsumi isn’t blighted by either alcoholism or mental health issues that infringed negatively on Utrillo, she did refocus on art during a period of personal hardship. Therefore, for famous artists like Saeki and Utrillo – and for Utsumi – they breathe art from various different perspectives.